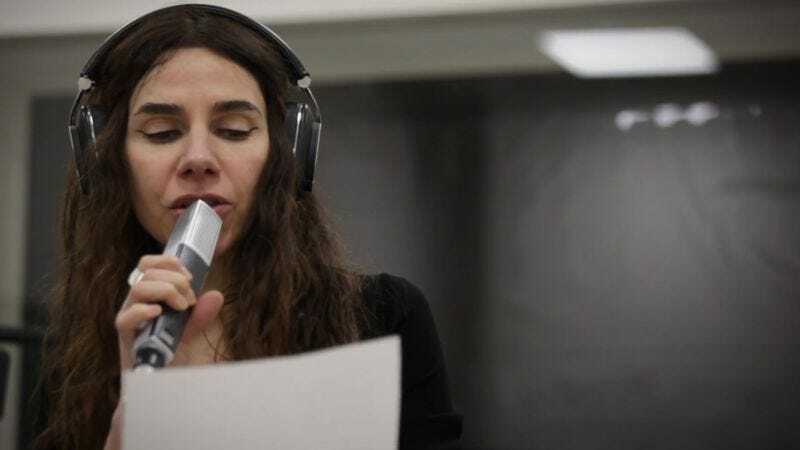 British guitar legend PJ Harvey has announced the title and release date for her ninth studio album, The Hope Six Demolition Project. Recorded last year as a sort of art installation in London’s Somerset House—in which Harvey and her various collaborators and producers recorded the album behind one-way glass while passerby watched—the album is set to debut on April 15. Harvey broke the news today via press release, while the album’s first single, “The Wheel,” debuted on British radio. (You can see a clip of Harvey performing the song live last year below.) Her first album since 2011’s Let England Shake, Hope Six apparently takes inspiration from Harvey’s journeys in the intervening years, which took the constantly shifting, critically beloved rocker to places as disparate as Kosovo, Afghanistan and Washington, D.C. Her travels will apparently be continuing in 2016, too, as she’s announced a European festival tour this summer in support of the album.